At age 79, running what may be his last campaign, Sen. John McCain finds himself on treacherous terrain. A household name in Arizona and still beloved by many, the Republican is also confronting hostile and unpredictable forces this election year: The swirling voter anger that propelled Donald Trump to the brink of the GOP presidential nomination, and the resulting backlash from other groups, particularly Latinos, a growing force in his state. 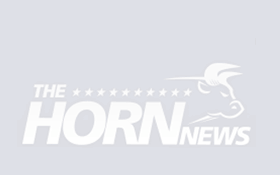 The combination has left McCain to grasp for answers about his own political fortunes as he seeks a sixth term, and has set up what may be his toughest general election challenge in years. Three-term Democratic Rep. Ann Kirkpatrick is traveling the state arguing that McCain has been in Washington too long, and telling voters the incumbent has betrayed his reputation as an independent-minded maverick with his backing of Trump. McCain is a perennial target for conservatives in his state because of his deal-making with Democrats on issues like immigration, and many Republicans felt he dodged a bullet when he failed to draw a top-tier opponent in the GOP primary this year. He is expected to win the Aug. 30 contest, though his campaign is tamping down a challenge from state Sen. Kelli Ward, spending money on ads and websites linking her to conspiracy theories about aircraft spraying Americans with chemicals. But the challenge from Kirkpatrick, combined with political upheaval around Trump, may prove especially formidable. It’s forcing McCain to perform a balancing act as he seeks to maintain support among Republicans while also cultivating independent voters and Latinos. He has performed versions of this same straddle time and again over the years, including as the GOP presidential nominee in 2008 and facing a strong primary challenge two years later. But this year his position looks particularly precarious, and the balance especially delicate. Every Republican senator in a competitive re-election race this year is in an uncomfortable predicament because of Trump, forced to support him or risk alienating his backers, yet compelled to create distance from the billionaire’s more outlandish pronouncements. For McCain, the situation is particularly sticky, partly because of the growing power of Latino voters in Arizona who may comprise more than 20 percent of the electorate this year and are horrified at Trump’s promises to build a giant wall along the southern border and deport millions. “He’s a phenomenon,” McCain replied with little elaboration, reiterating that he said he would support the GOP nominee and intends to do so. On Memorial Day, McCain, who chairs the Senate Armed Services Committee, spoke at a ceremony at the large veteran’s cemetery on the outskirts of town, delivering heartfelt remarks about unheralded bravery and warning that peace is always only temporary. Afterward, as the sun radiated on tombstones and cactus plants, dozens of people lined up to shake McCain’s hand and take pictures. Still McCain soldiers on, campaigning energetically around the state, shaking countless hands and recounting the many benefits Arizona has derived from his years of service. He insists voters still value such traditional achievements in a political world turned upside down by Trump but acknowledges that this year, he can’t predict how anything will turn out. Mr. McCain is a legitimate Vietnam War hero. I think Mr. Trump’s comments about his being captured should not have been spoken. But during his recent time in the Senate Mr. McCain has lost his way. I think his Senatorial career should come to an end, and young fresh blood needs to be introduced. Thanks for your service, Mr. McCain; but please bow out now with your head up. The fact is that essentually all politicians are now career politicians. The Founding Fathers saw service in government as servinfg for a term and then returning to you livelyhood at home, not making politic a lifelong career. We need shorter term limits on both houses of congress. Vote out all incombents until shorter term limits are applied. Ron — In general, I agree with you. I do have a concern about your technique to address the issue of shorter term limits, i.e., to “Vote out all incumbents until shorter term limits are applied.” Specifically . . . I’d prefer to pressure incumbents to vote on shorter term limits first . .. . and then, if the “incumbent” (i.e., whoever he/she is?) shows an unwillingness to immediately CAMPAIGN for . . . and subsequently VOTE for . . . such shorter term limits, we should then 100% vote that person out of office entirely!!! Otherwise, we could potentially be “automatically” voting OUT people who might be 100% in agreement with other ideas we support . . . and voting IN “closet” left-wingers) right away . . . whose “other ideas” we all might not agree with. Know what I mean? I have respect for any one who has been in the service. Have been myself. However I do not think McCain was a HERO, just because he was captured & was a prisoner of war. I do believe he needs to get out of politics though. A great number of other American POWs held in the same prison as John McCain have testified to Mr. McCain’s character and actions while prisoner of war. John McCain was in a prominent US Navy family, and the North Vietnamese knew it-and used it against him. 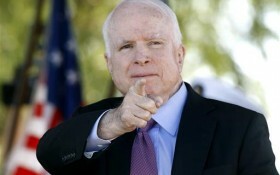 Senator McCain conducted himself honorably during his captivity. Like I said, I have disagreements with many of Senator McCain’s votes recently. And I disagree with much of his recent public policy. I give him respect and wish him well; but I urge him to retire from the Senate. This a very liberal republican.Never did try to stop Mexicans from entering the country. I would never vote for him. No one who operates on more than two brain cells Would Opt for Open borders..And Ever Look the Other Direction At All the Illegal s who are Swarming into this Country. ( One REAL Point in MIND This day ..is What Has gone on in Orlando This Day. IT Would Never have Happened..IF..This Farce of a Homeland Security WAS Working FOR THIS Country ( On This Side of That ”non- border That Was NEVER Erected.] AS For What J. McCain “”Stands FOR ?? What IS It ?? What HAS HE Said or Done >>That Warrants HIM TO Be Grand fathered in To OUR Congress ..for Generations !! Go While you May still have Enough Sense to Locate The EXIT ! IT is way pastime for you to GO..John. And Don`t let the Door Knock you Down on your WAY OUT. I respect McCain’s military service. He and others endured war crime torture that has never been addressed by the war crimes commission. Oh, that only applies to Americans. As a leader in Congress, he has a poor record. Maybe it is his age, but his conservative values mimic that of a demorat. It is time for him to bow out of politics. He has become a ‘yes man’ for the o’criminal cabal. I didn’t see in the story much to back up the headline about John McCain’s campaign being in trouble. Once a person reaches 79 there is a likelihood that they will not be able to finish a six year term as senator. While Sen. McCain may hope to die as a U.S. senator I’m not sure that serves his state all that well, especially if he becomes incapacitated before he dies. Trump will need an experienced patriot in the Senate. He’ll probably die there, but he will die a hero in the war for America. He is no friend of Trumps.He has no0t ben much help on any thing. I don’t like him even though I’m a Republican in Arizona. He is Not a Conservative and he needs to go. He doesn’t speak for my family or me. He needs to take Jeff Flake with him. Kelli can do the job! As a member of Harry Reid’s eight gangsters McCain has no credibility in Arizona or in the nation.